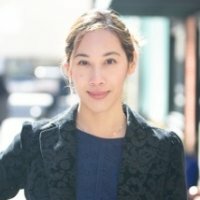 Buthany Nuon, JD, BS, BA is the Assistant Manager of Forms, Hearings & Appeals and Tax Court in the Legal Section of the Revenue Administration Division at the Comptroller of Maryland. She received her B.S. and B.A. from University of Maryland, College Park and her J.D. from The Catholic University of America, Columbus School of Law. Buthany has seven years of experience as a staff attorney at the Comptroller’s Office. She has experience with a wide range of State tax matters, including income tax, sales and use tax, motor fuel tax, admissions and amusement tax and tobacco tax. Buthany is admitted to the bar in Maryland and the District of Columbia.